I had an absolute blast with Transient Canvas in town this past week. They did a killer job on my new work for them, and it was a privilege to get to hear them play Andy Vores, Marti Epstein, Brenna Noonan, and Adam Roberts. All fantastic pieces, not to mention plenty of merriment with TC while they were in town before and after the show. I will be sure to post a recording once one becomes available. I am currently putting the finishing touches on a new work for the Elevate Ensemble, which will be featured on the opening concert of their season next month. Entitled B:R:X (pronounced brix), it is a three way homage to Beethoven, Ravel, and Xenakis. 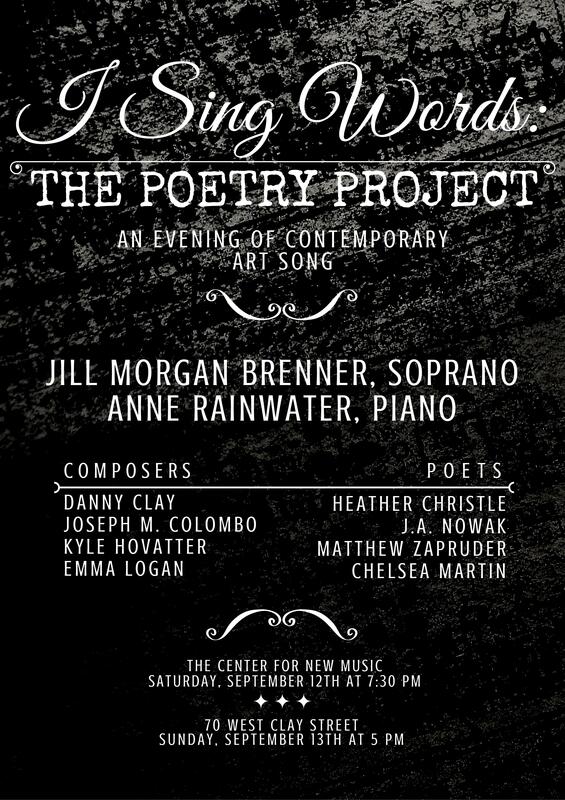 And I am super excited for I Sing Words: The Poetry Project, which will feature my new song cycle for Jill Morgan Brenner, Frames. Using the poetry of Julia Lans Nowak, it is easily the largest amount of vocal music I have written so far and I can’t wait to hear it.